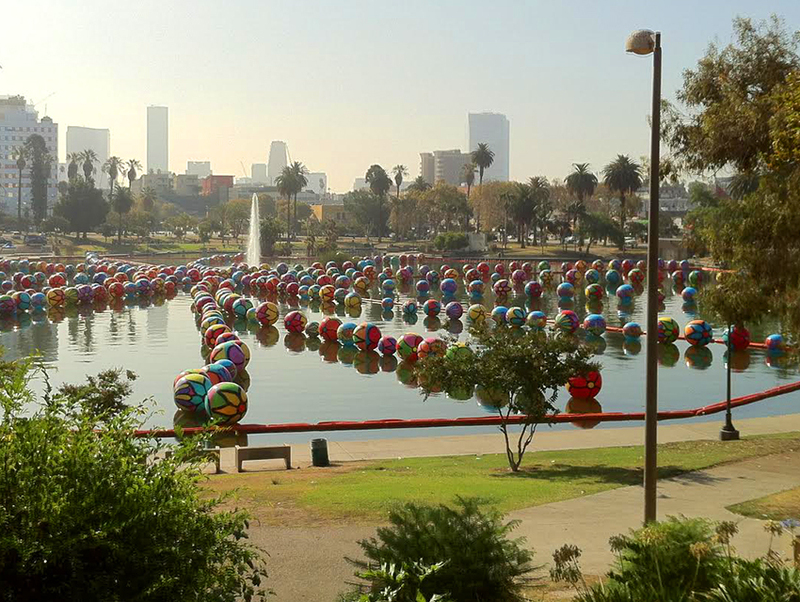 What’s with L.A. and lakes full of floating spheres? 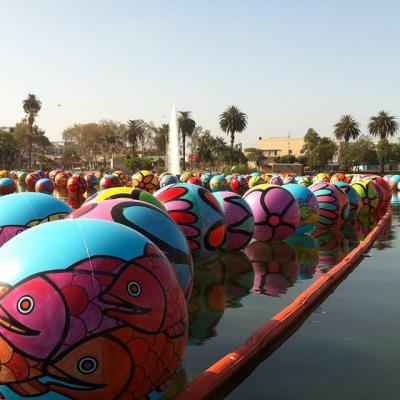 On Saturday, Eric Garcetti once again released a flurry of plastic balls into a body of water, only this time, they were five feet tall and painted with kaleidoscopic images of flowers and fish. The installation is a project by Portraits of Hope, an organization that involves underprivileged and physically-challenged kids in the creation of high-profile, mood-boosting, just-shy-of-mind-altering public art installations. It’s the brainchild of brothers Ed and Bernie Massey, who have been doing stuff like this since 1995. 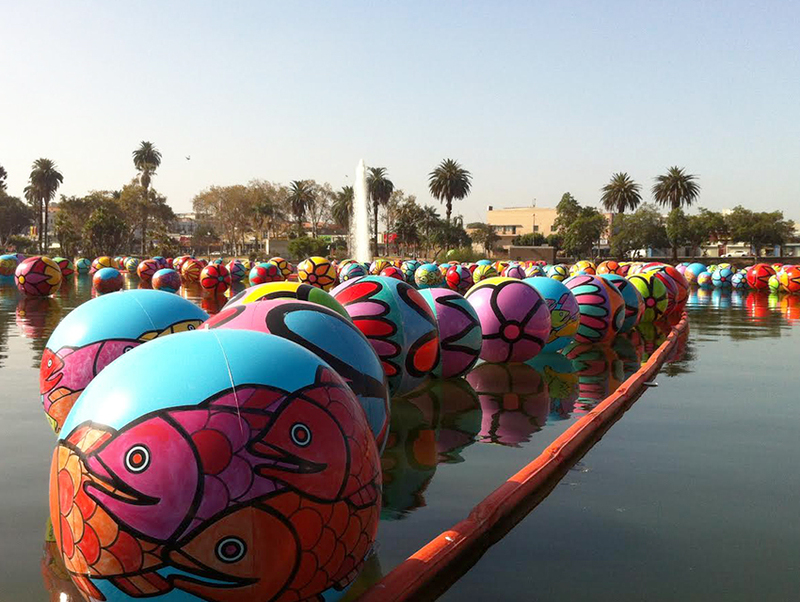 The nearly 2,500 colorful orbs were painted by volunteers—most of them L.A. schoolchildren—and will freshen up this shabby stretch of Wilshire for the next four weeks.